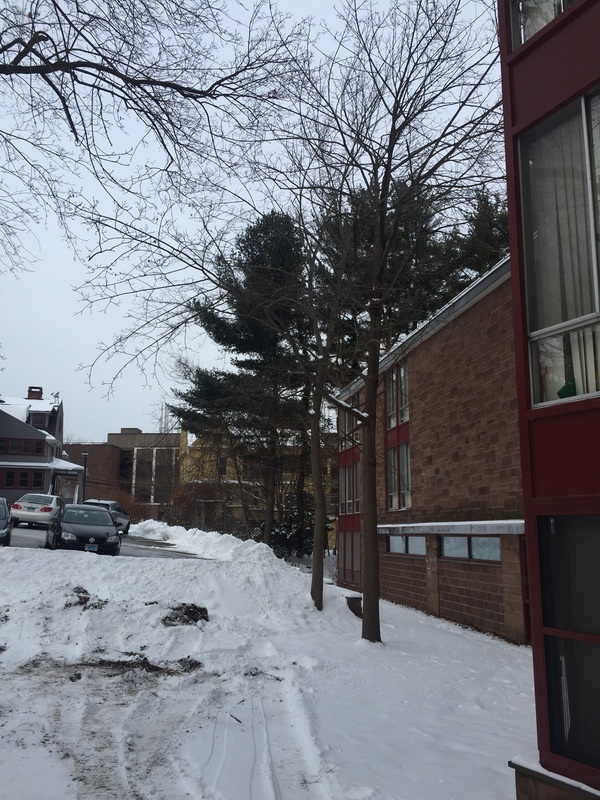 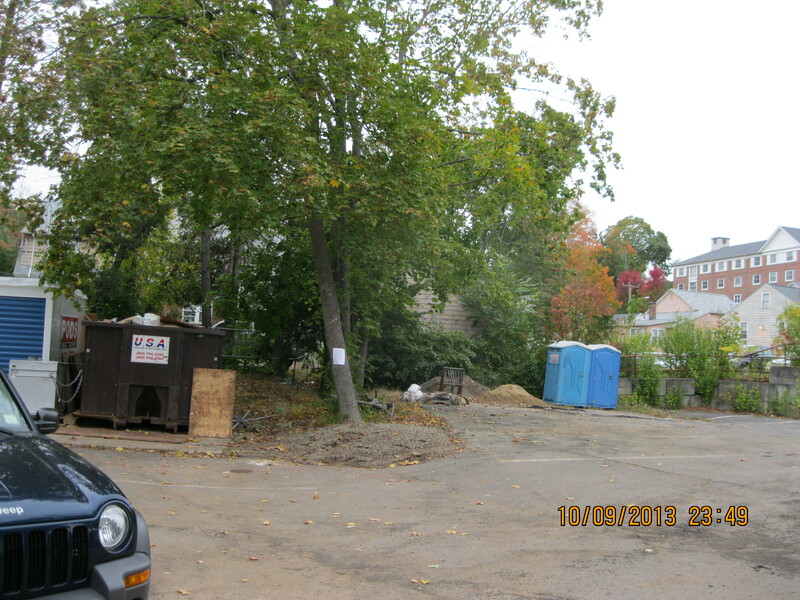 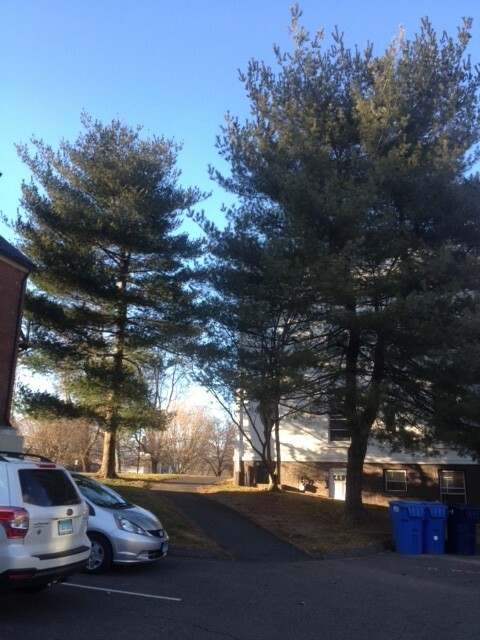 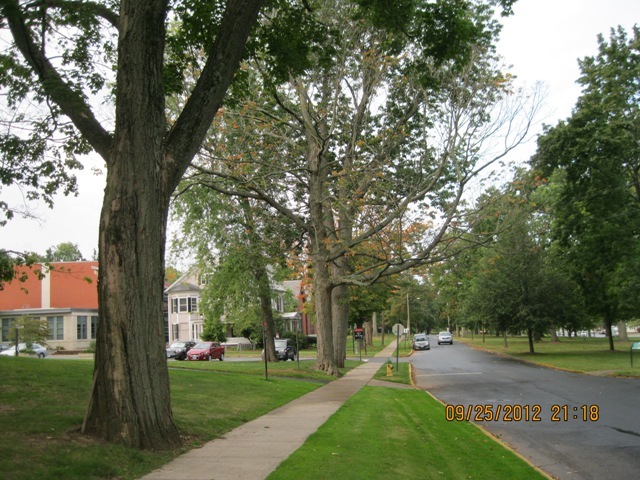 On the West side of Butterfield C we will be pruning, and removing, a number of trees. All of these removals are due to either structure clearance or failing health. Many of the trees are too close to the building, this creates many risks, including limbs or entire trees falling onto the building. 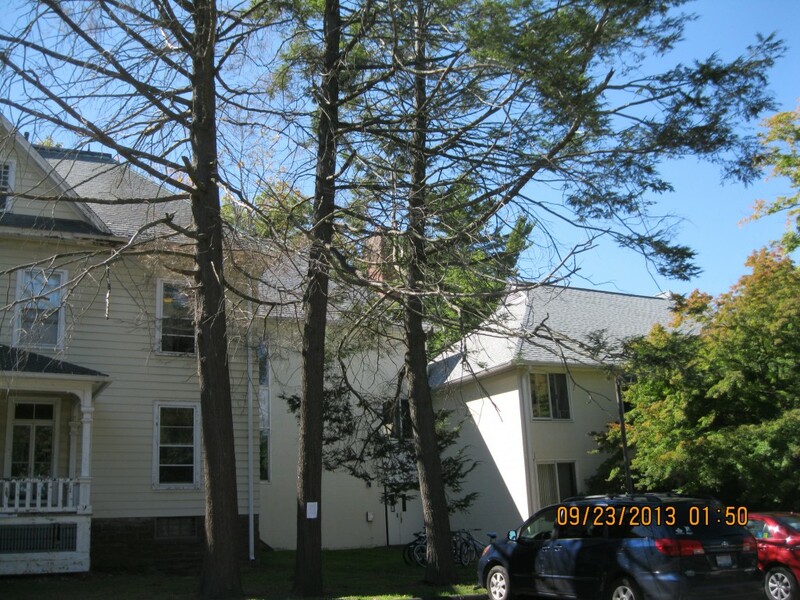 300 High St. – Unfortunately the large Beech tree at 300 High St will have to come down. 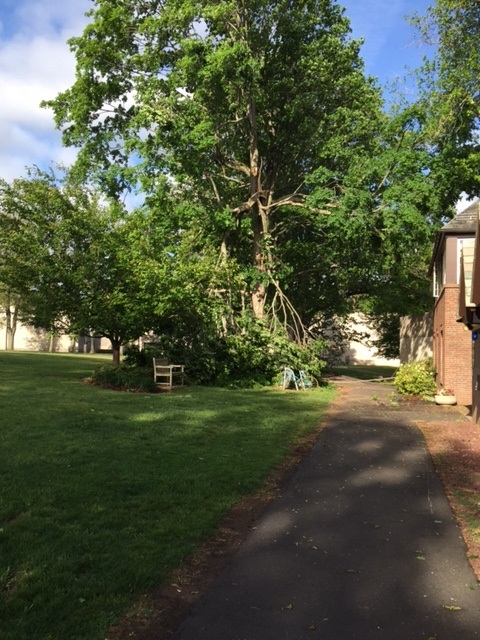 The tree is in severe decline and recently lost a large limb above the sidewalk. There is a lot of deadwood in the tree and the proximity to the building and the sidewalk is concerning. 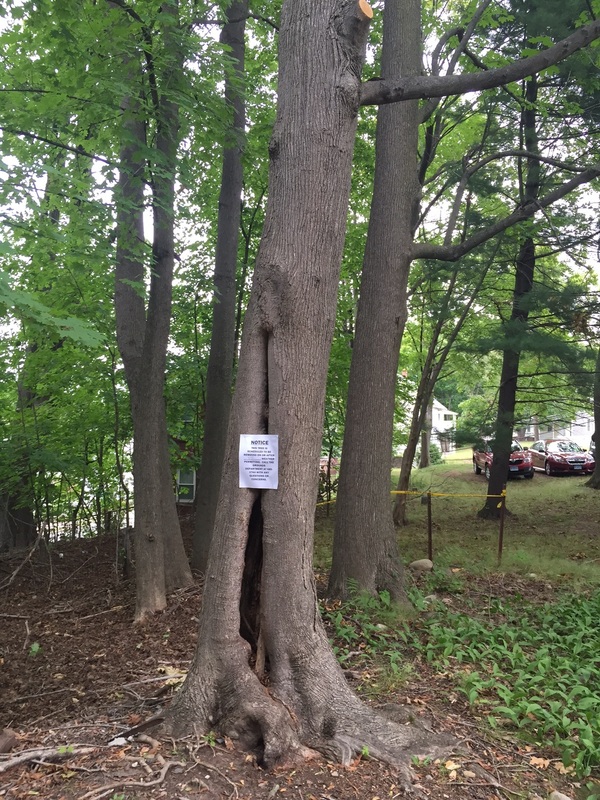 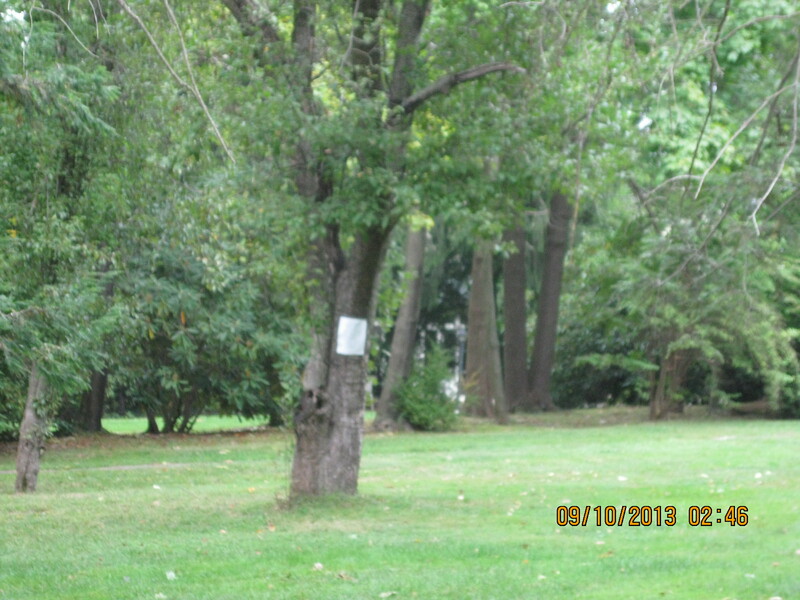 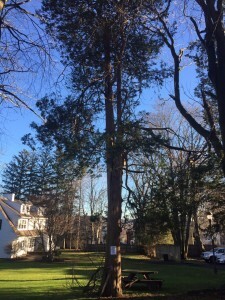 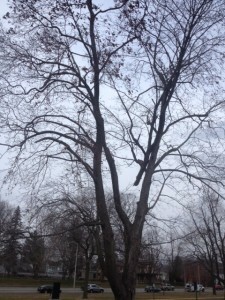 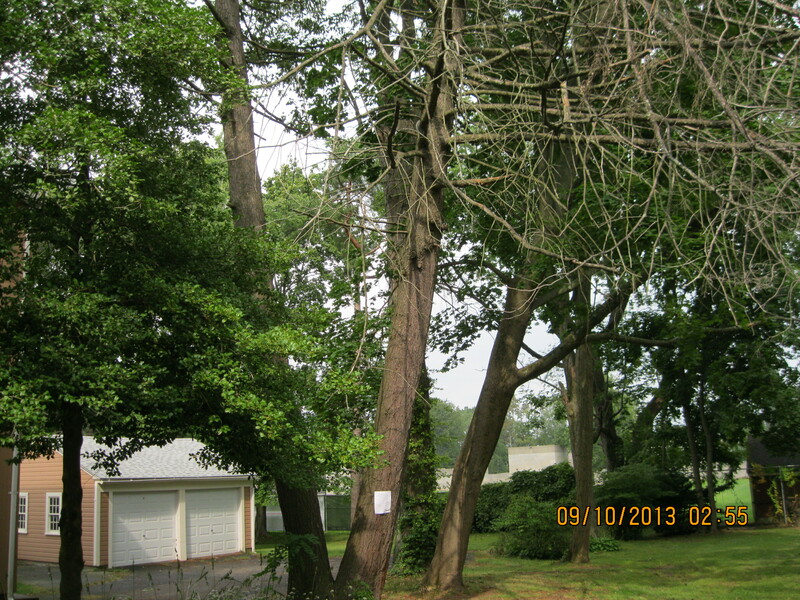 22 Woodman – The maple tree shown below was badly damaged in the August 11 storm. What is remaining will have to be removed. 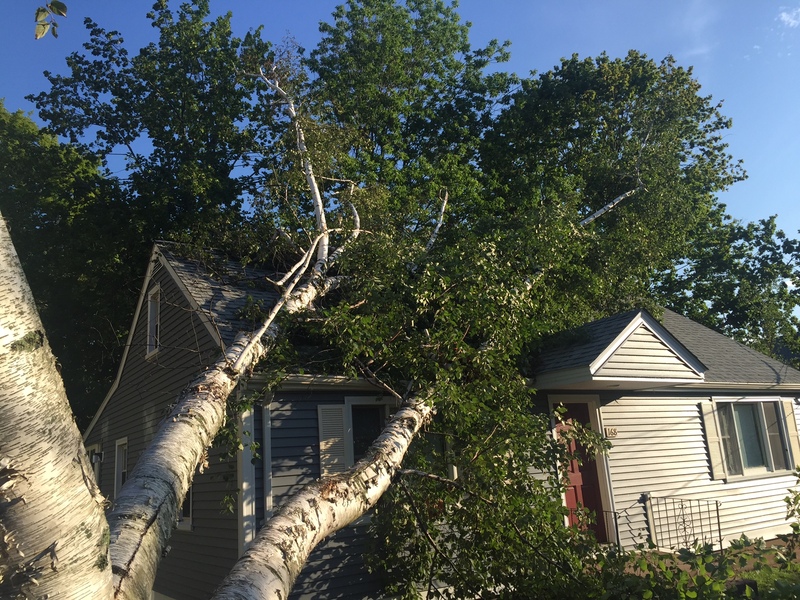 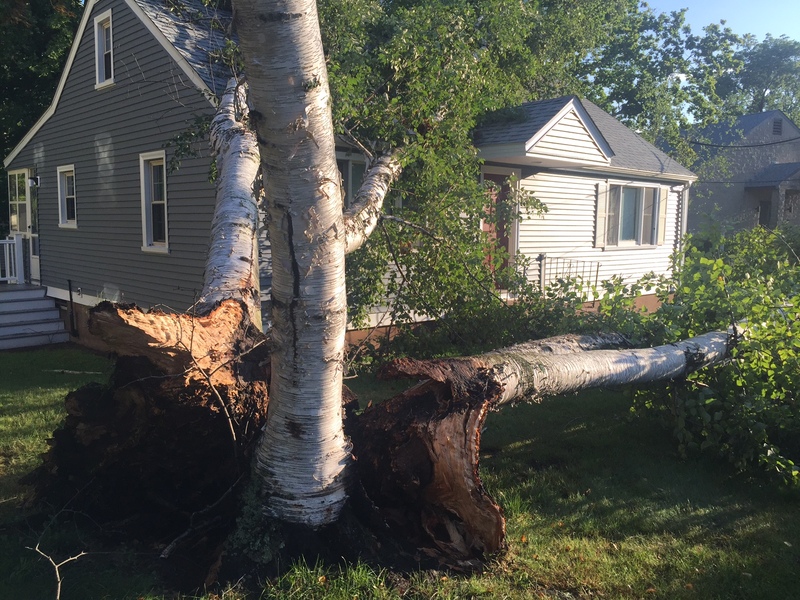 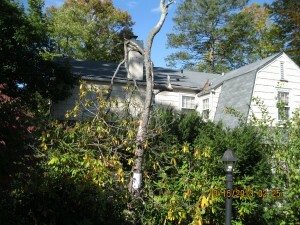 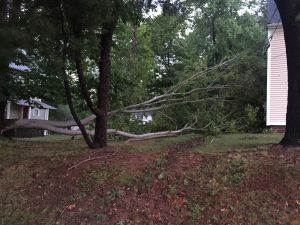 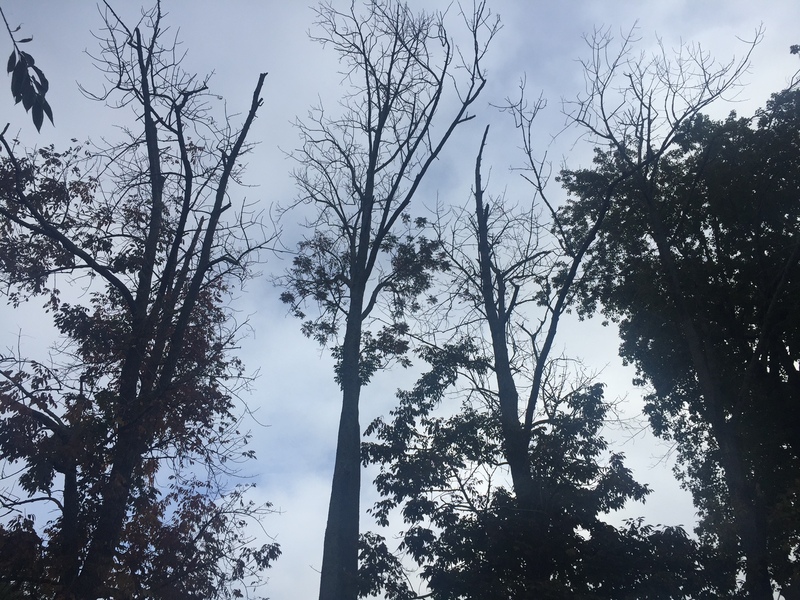 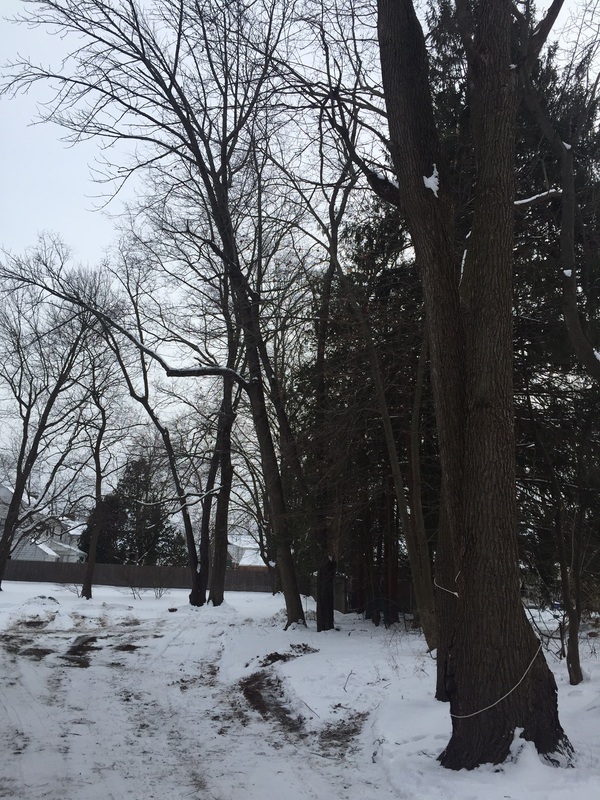 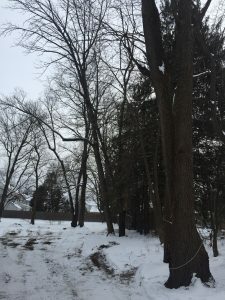 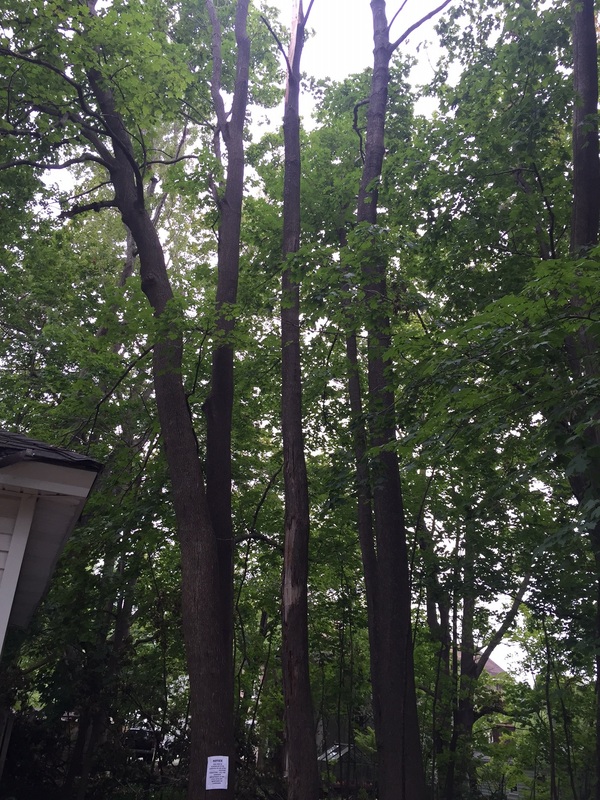 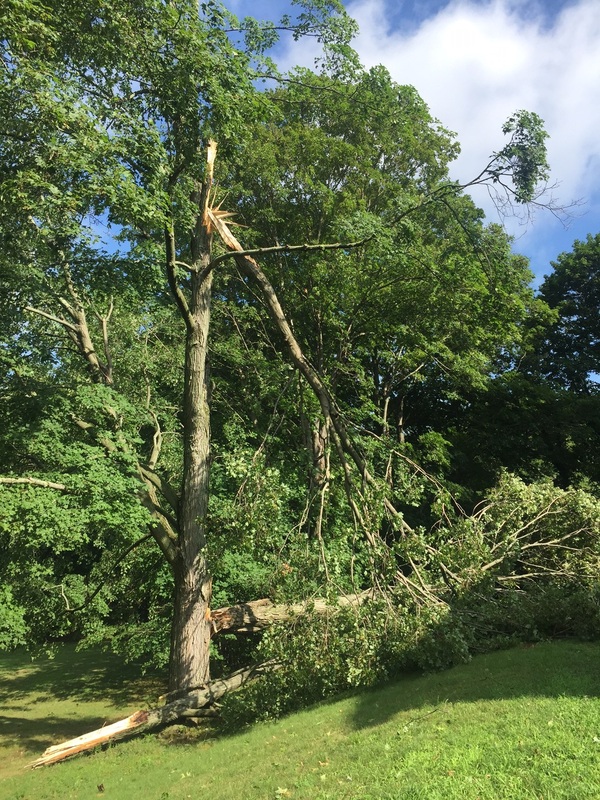 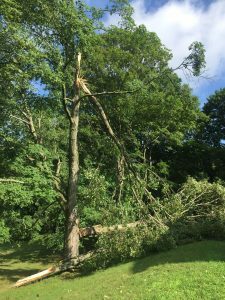 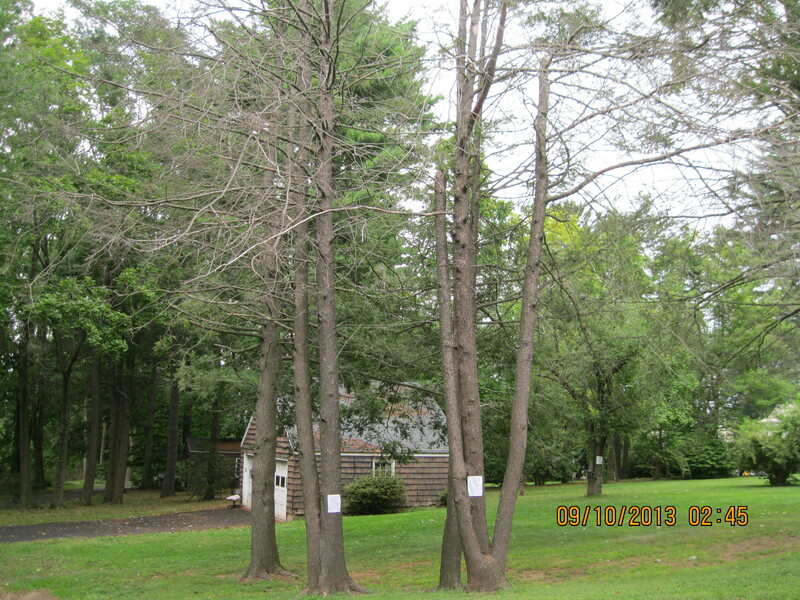 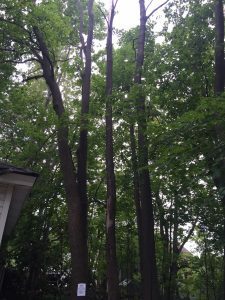 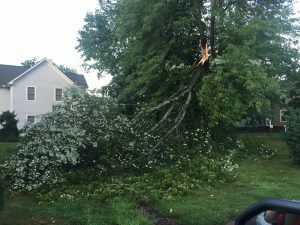 41/43 & 47 Brainerd – There were several trees in the adjoining backyards that were badly damaged by the August 11 storm. 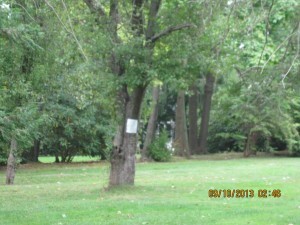 What is remaining will have to be removed. 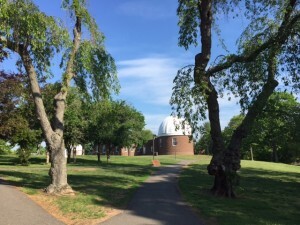 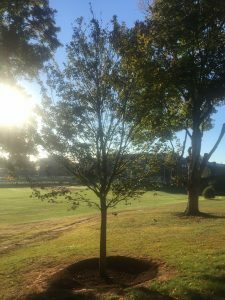 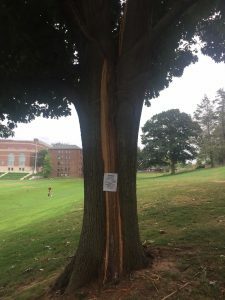 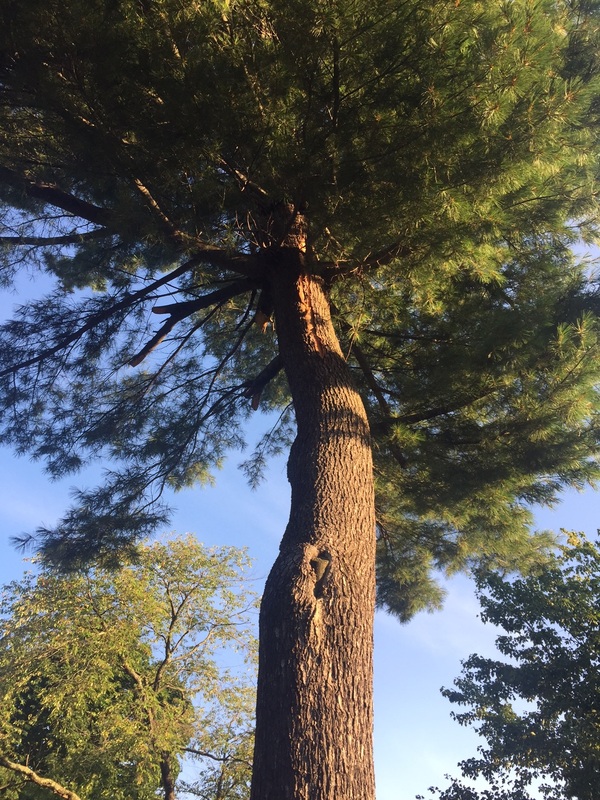 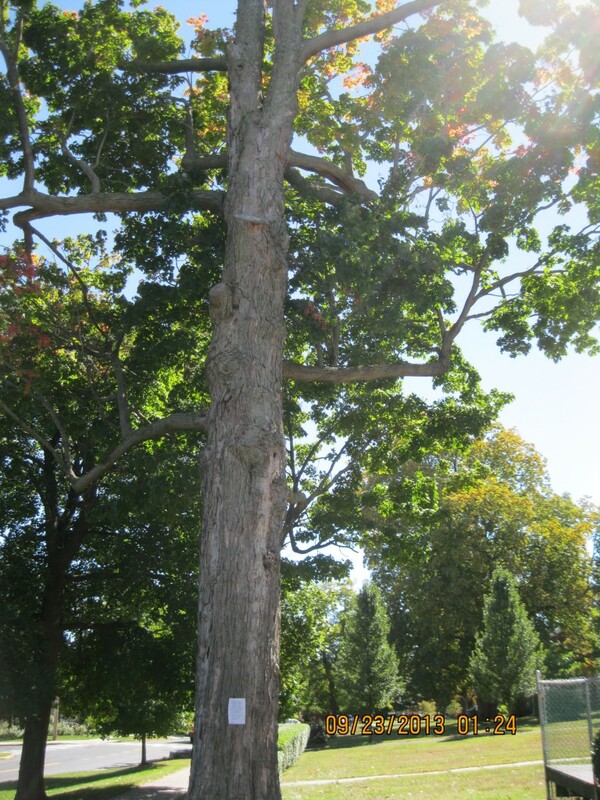 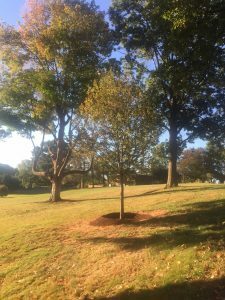 Foss Hill – One of the largest Oak Trees on our campus was struck by lightning in the August 11 storm. 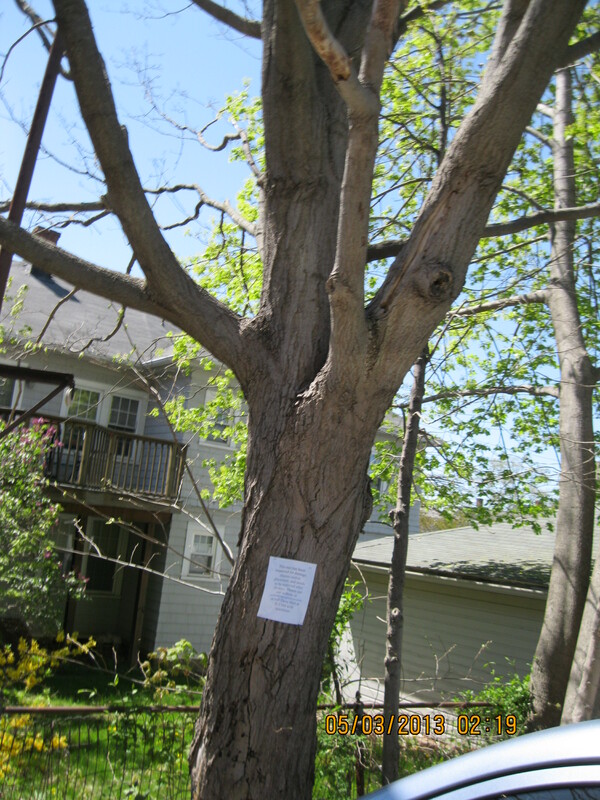 For safety reasons this tree will have to be removed. 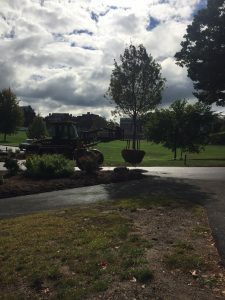 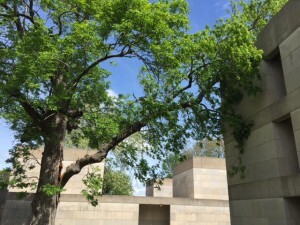 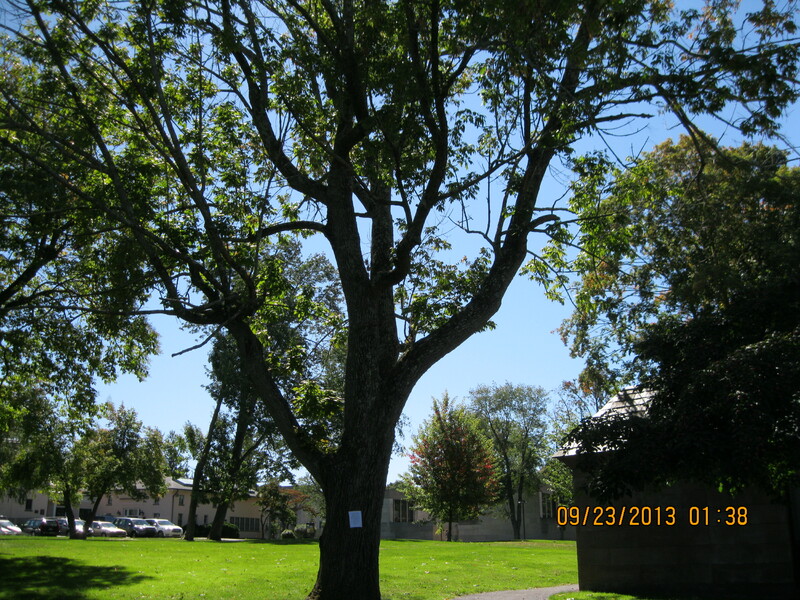 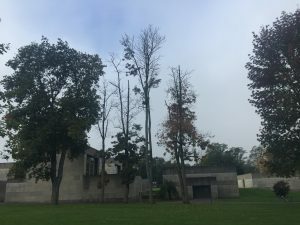 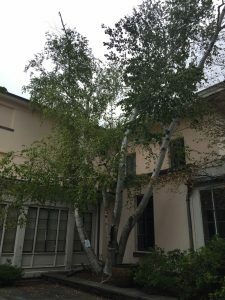 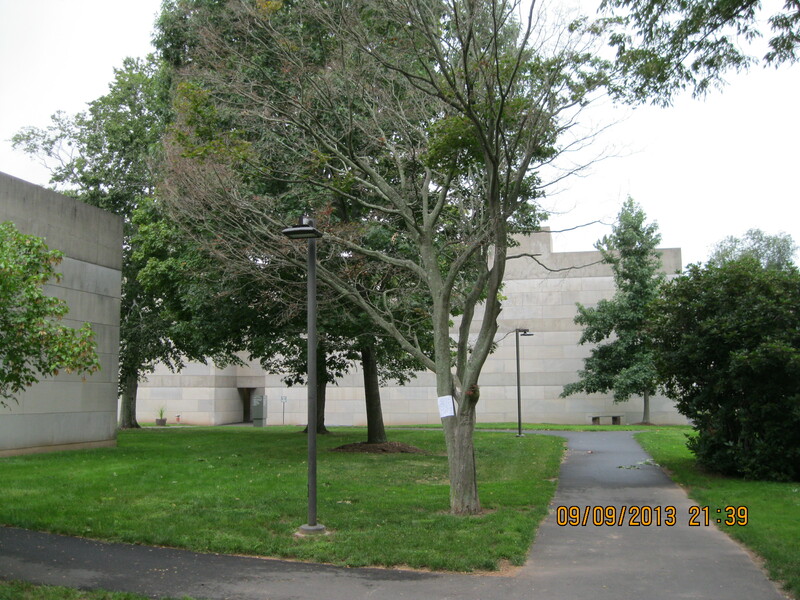 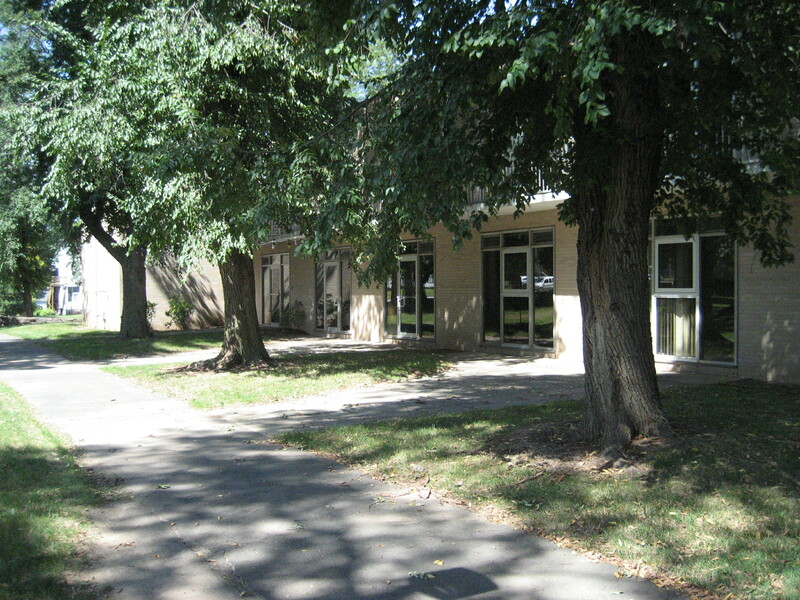 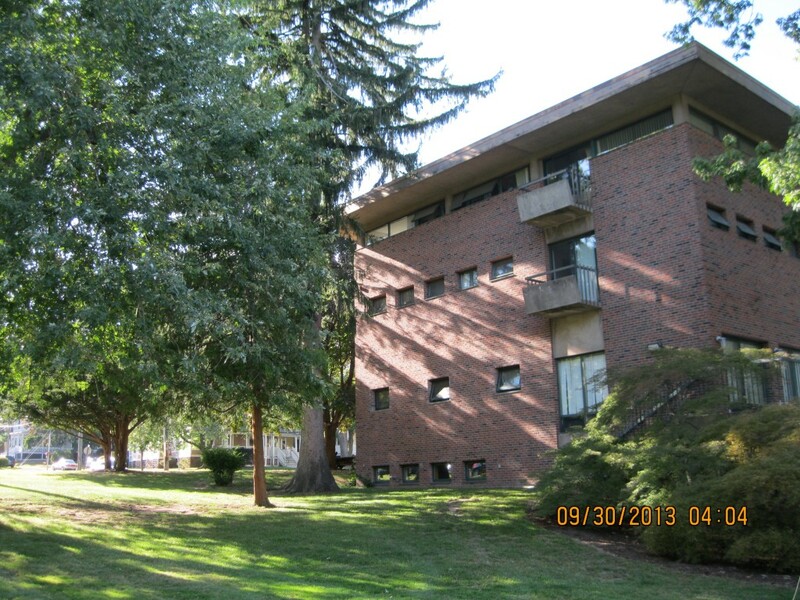 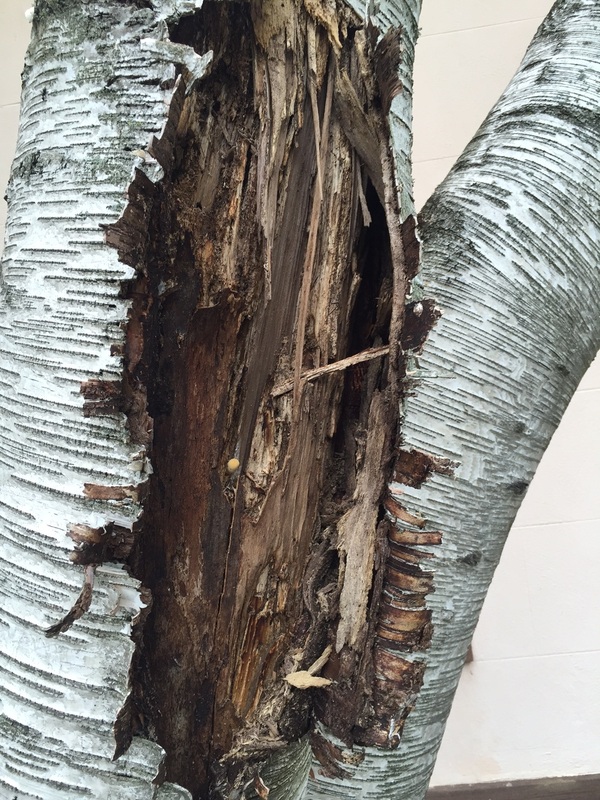 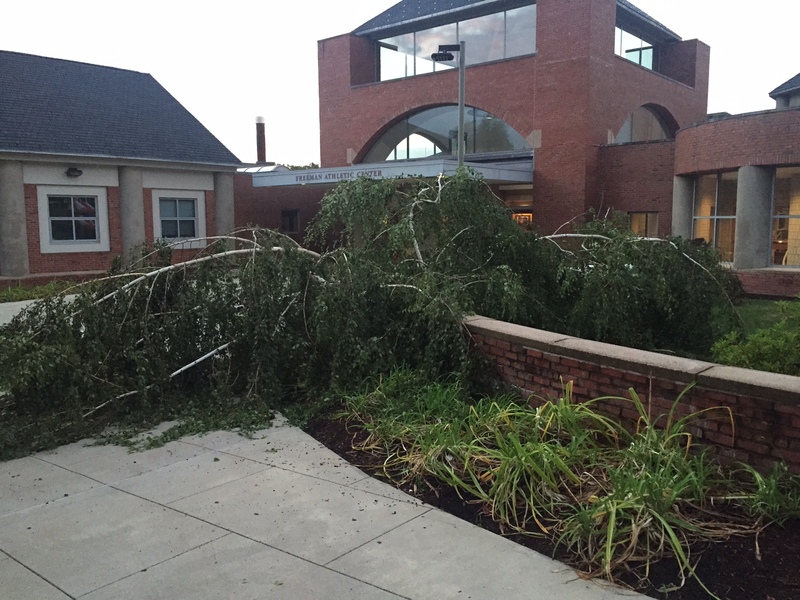 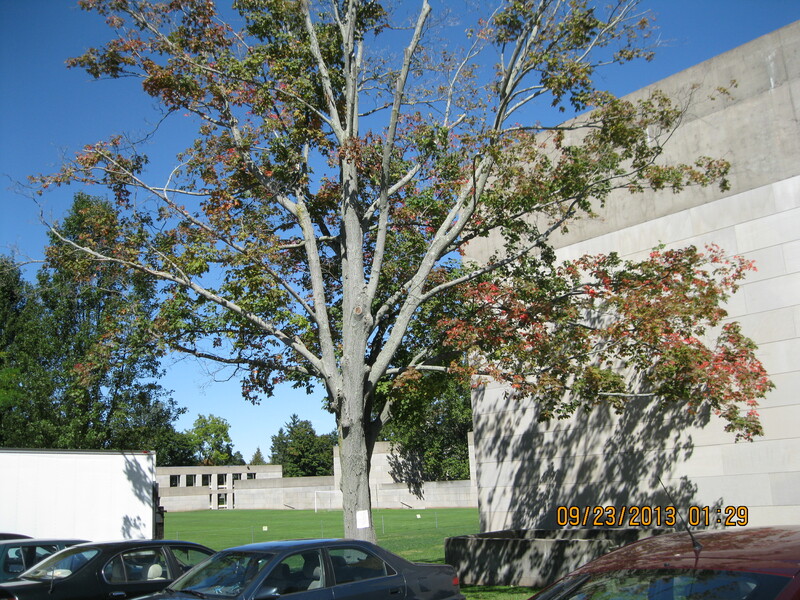 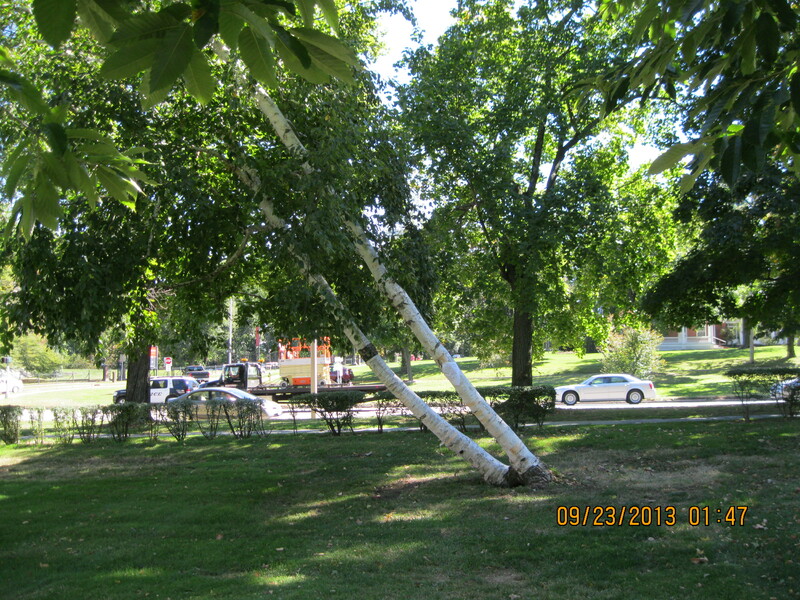 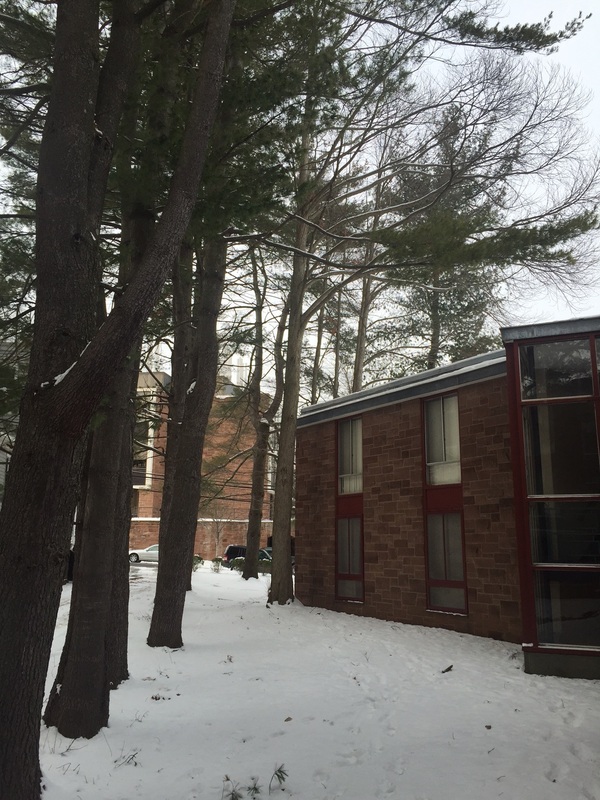 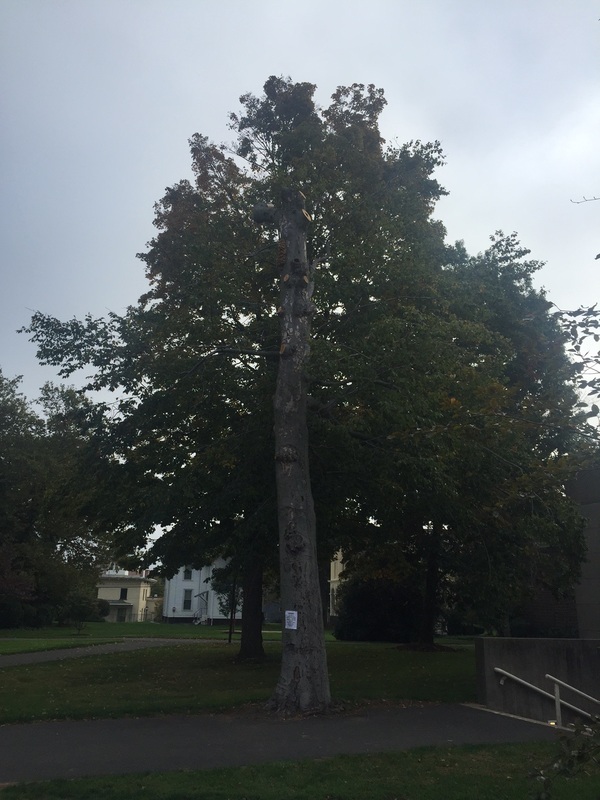 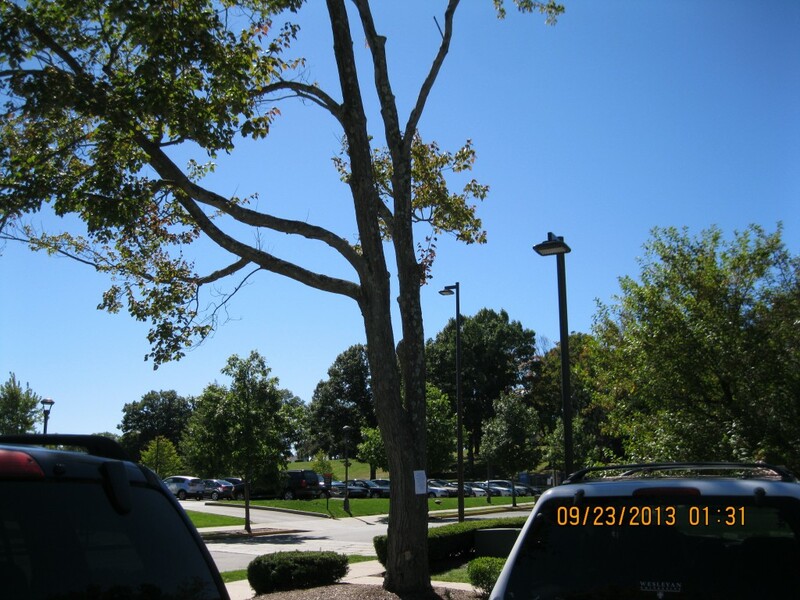 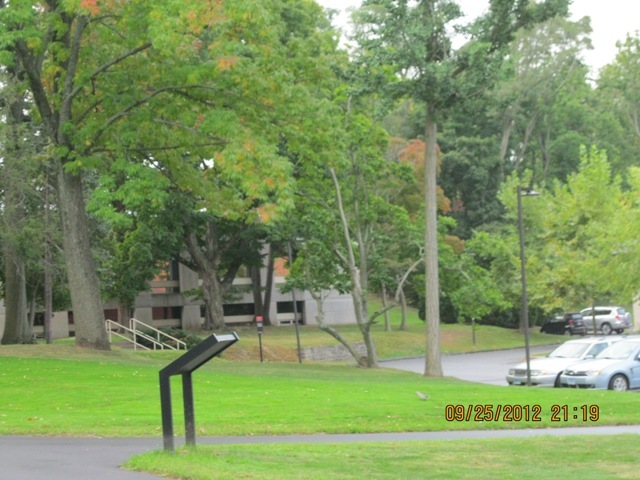 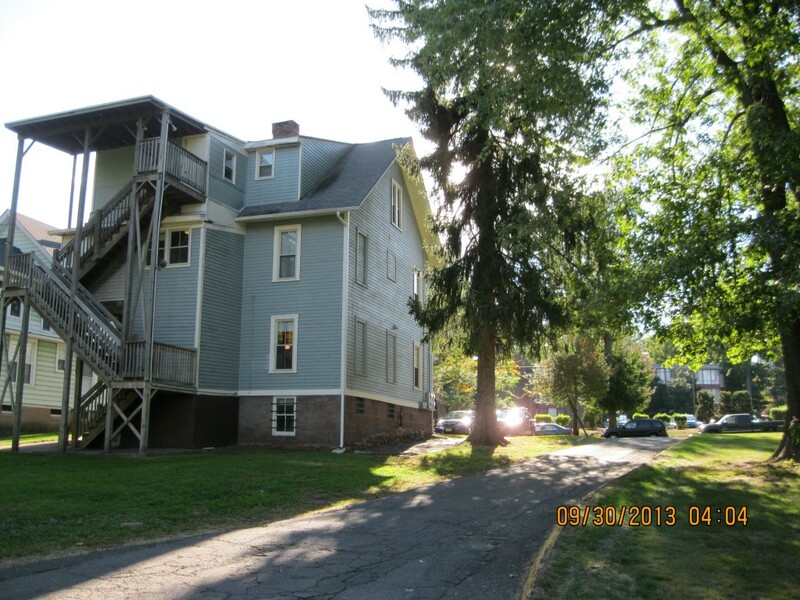 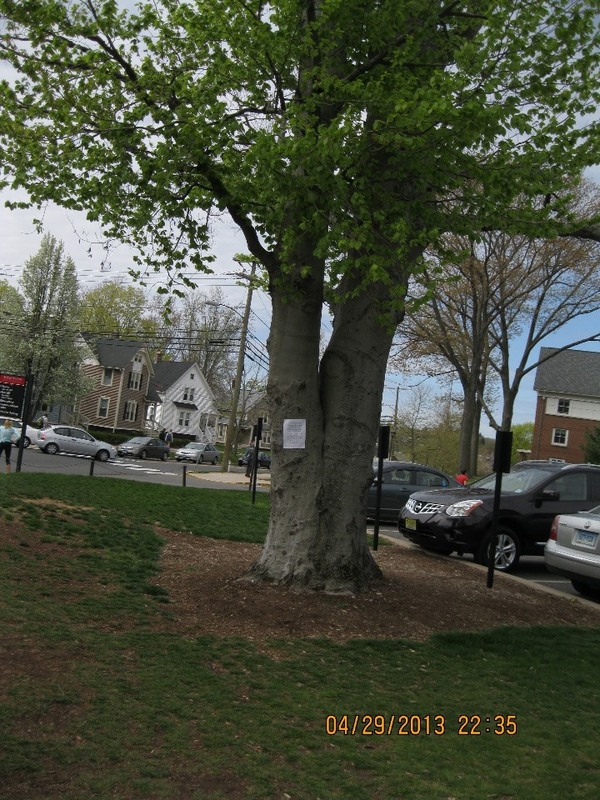 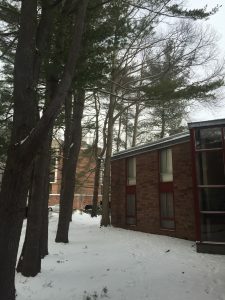 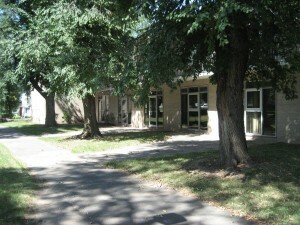 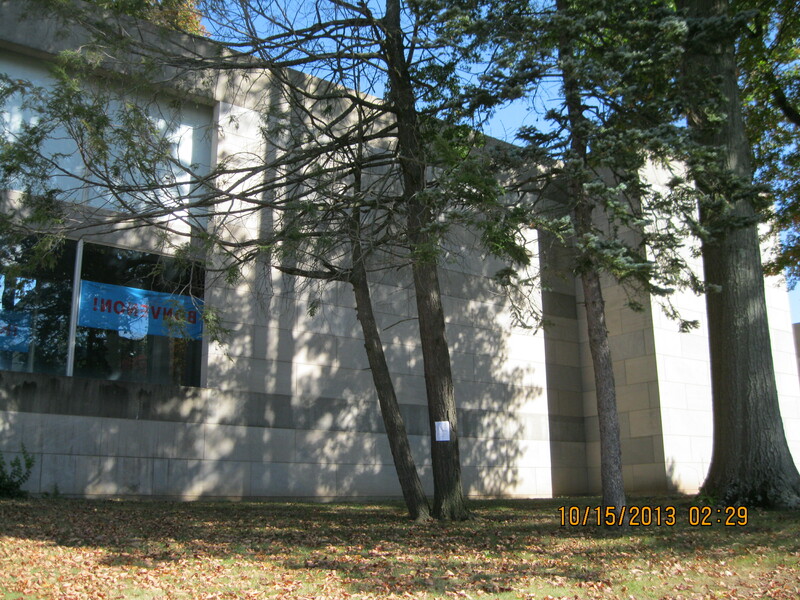 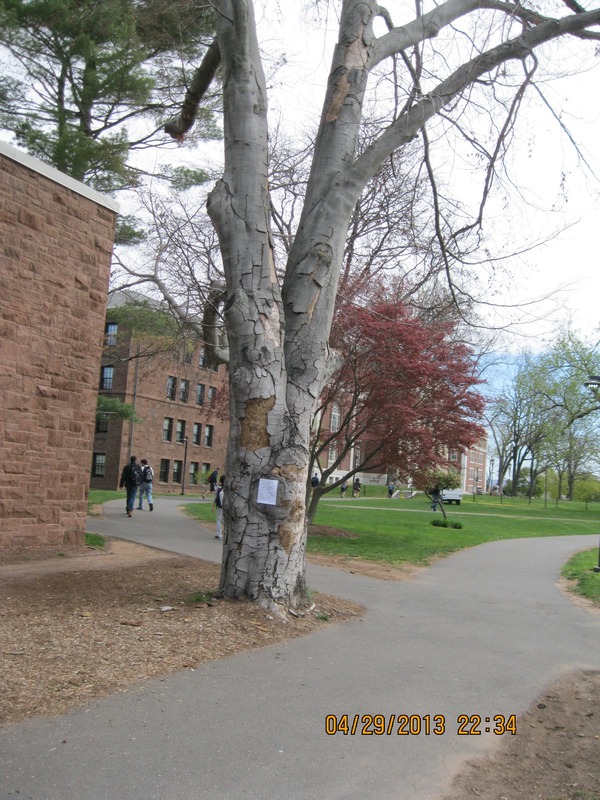 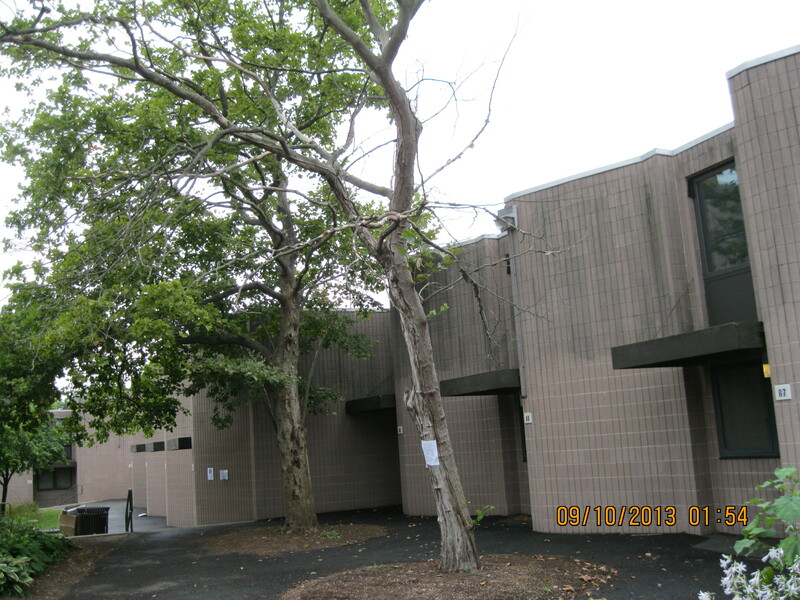 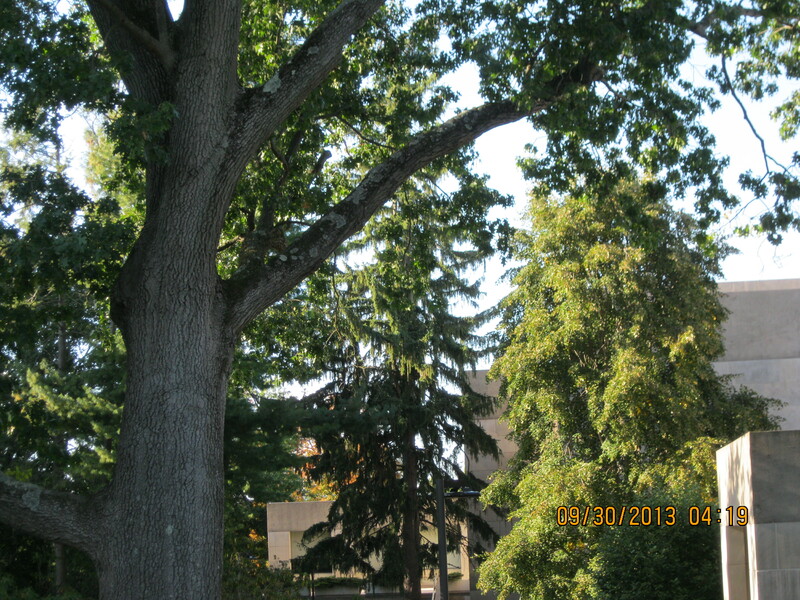 Davidson Arts Center – A large Birch Tree in the NE corner of the South side patio will have to be removed. 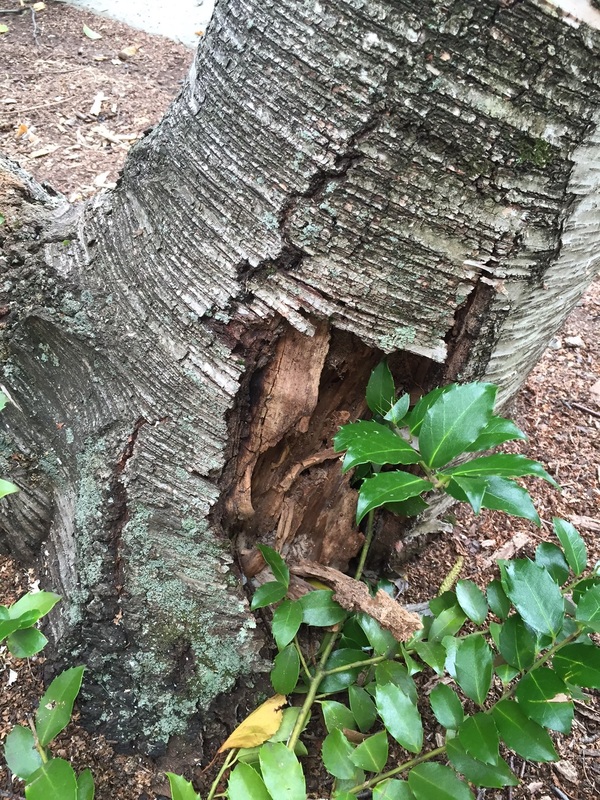 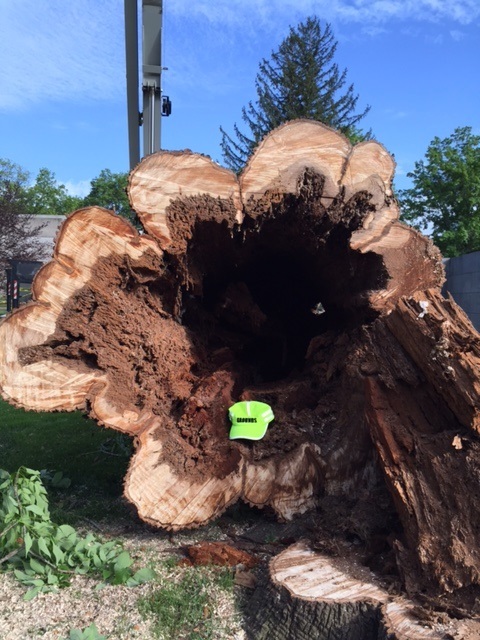 There is significant rot at the base of the tree. 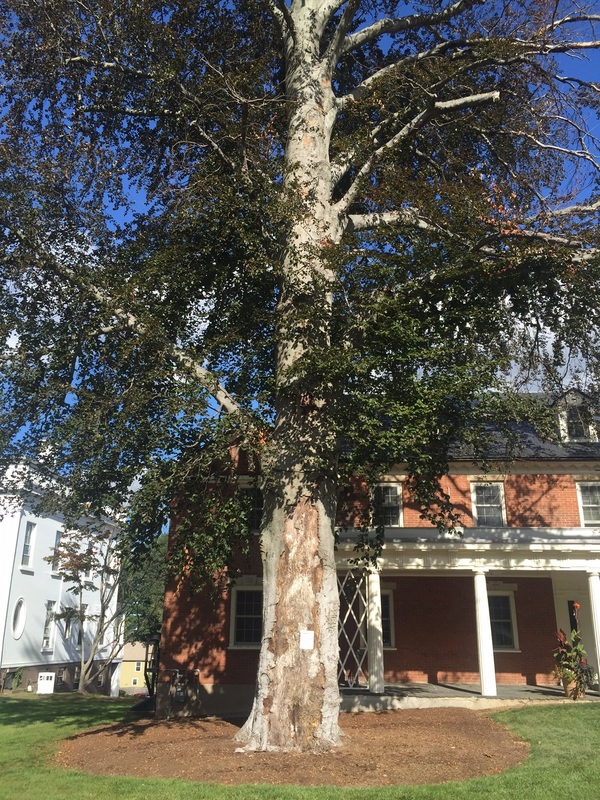 The risk of collapsing on the building is too high to leave the tree standing. 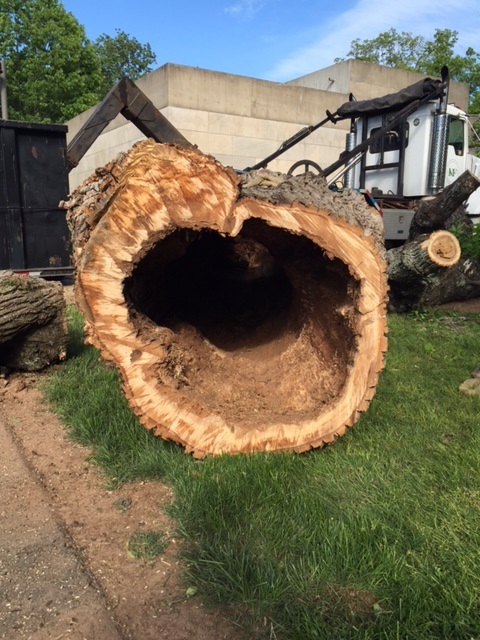 We had hoped to just do an extensive prune, unfortunately not much of the tree would remain. 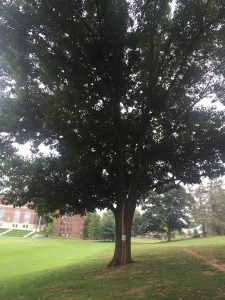 Sadly, this tree will have to be removed. 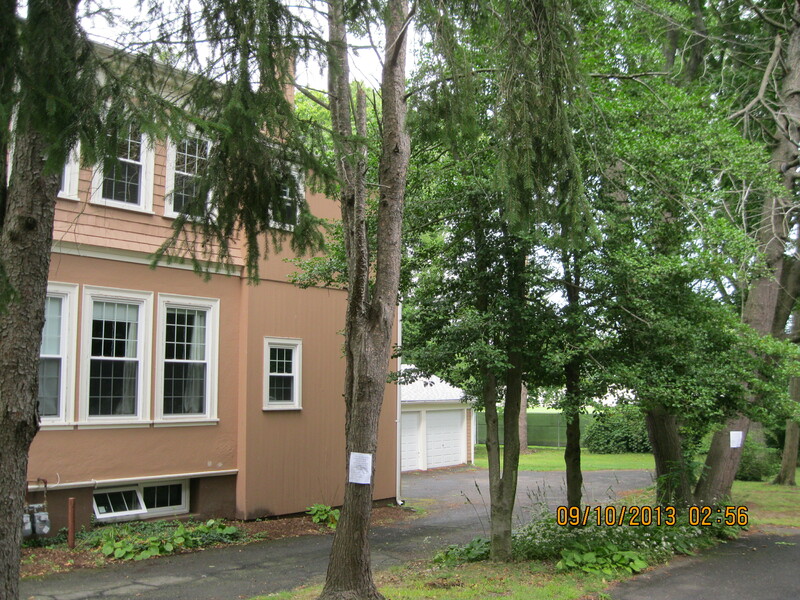 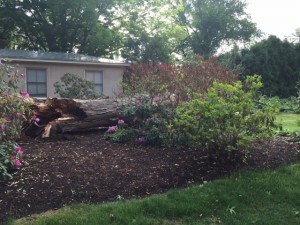 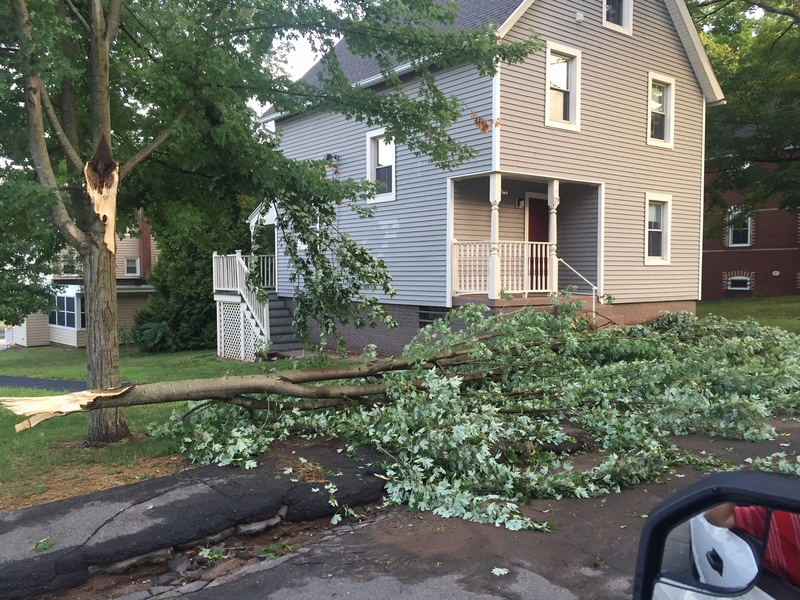 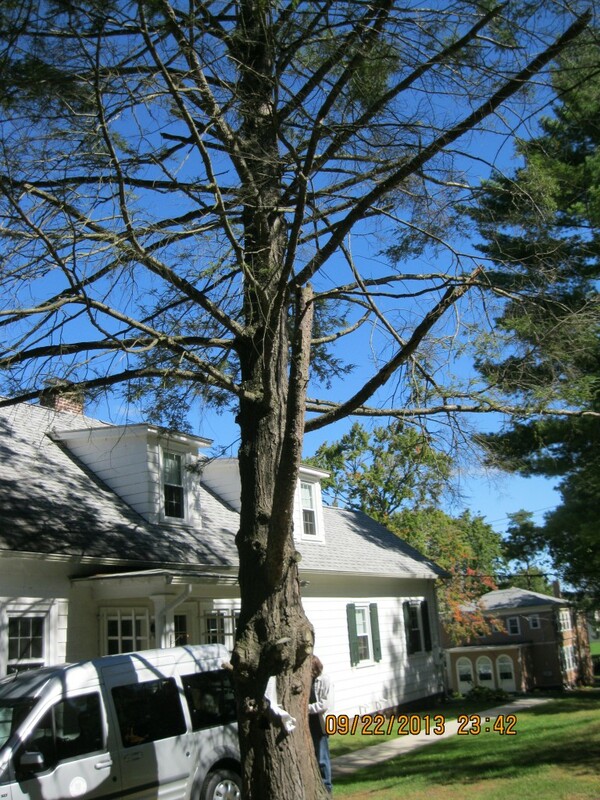 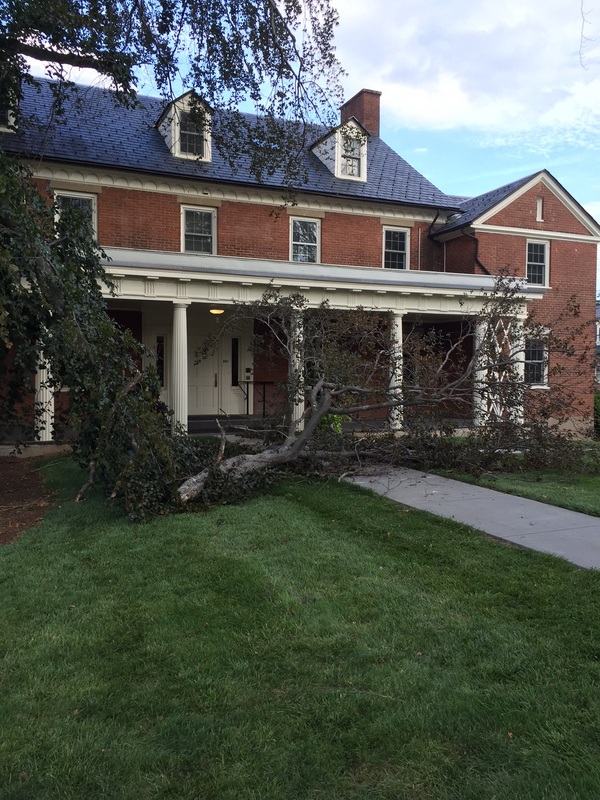 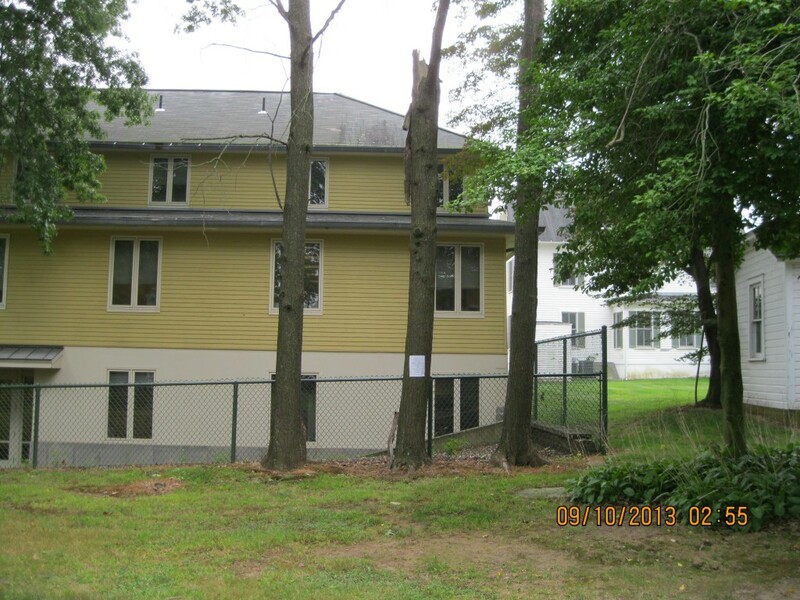 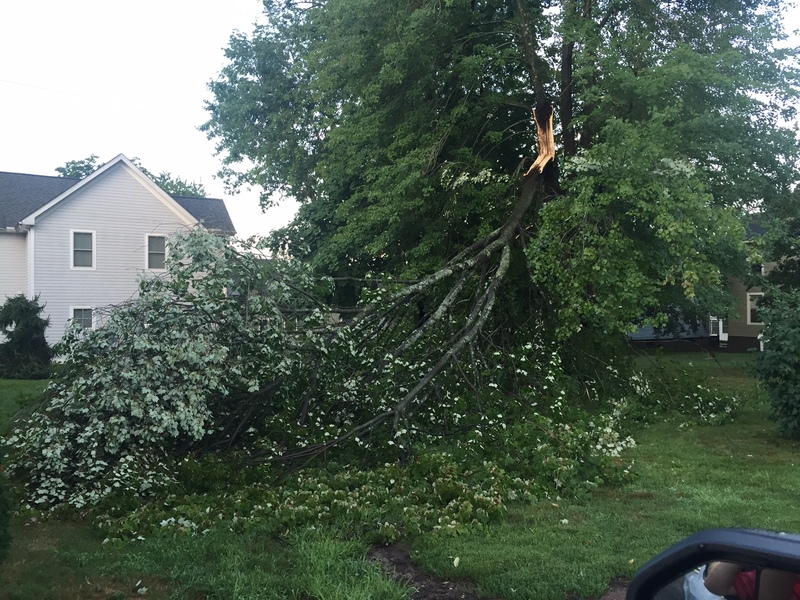 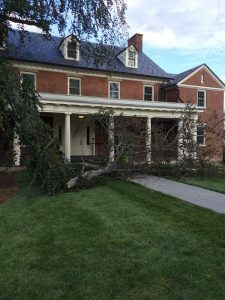 77 Home – As you can see the tree dropped some limbs in the August 11 storm. 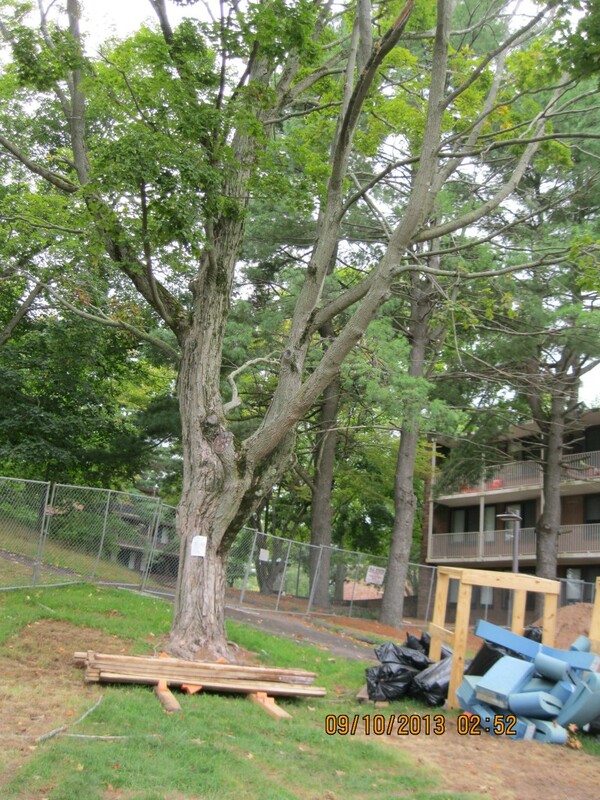 Much of the remaining tree has to be removed for building clearance. 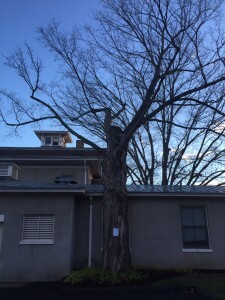 This would leave very little left and so the tree has to be removed. 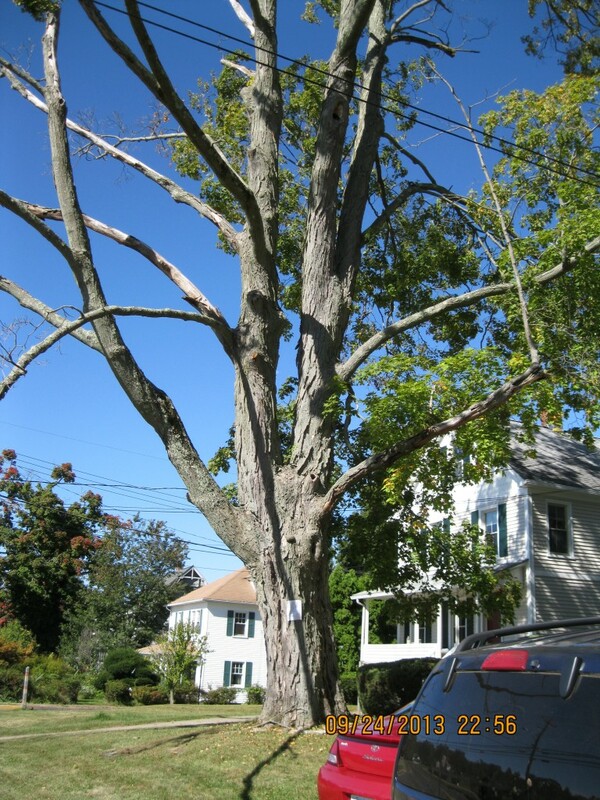 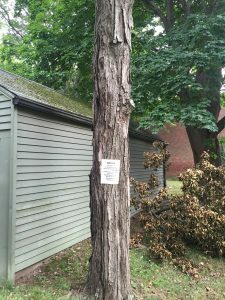 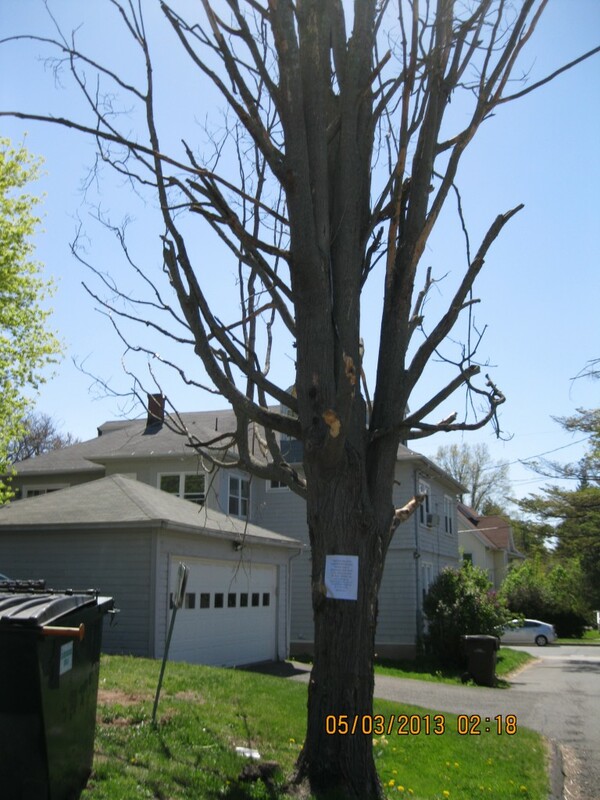 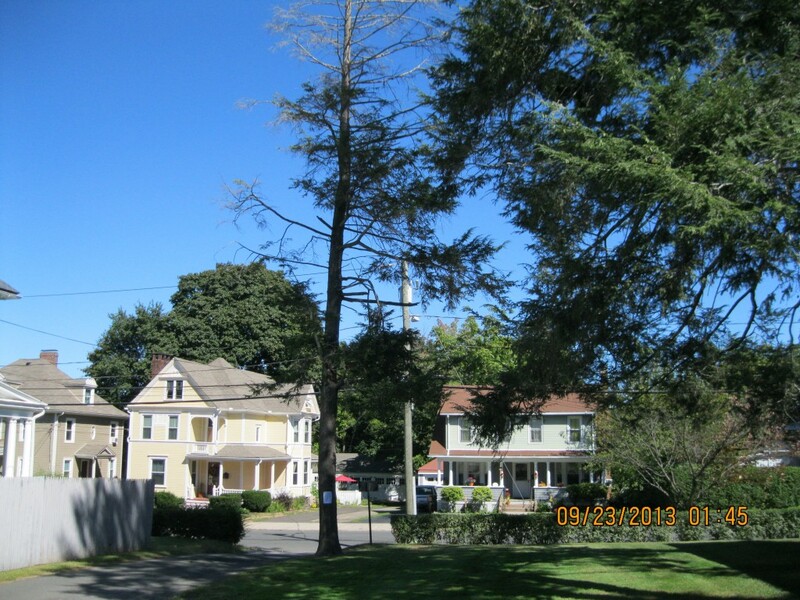 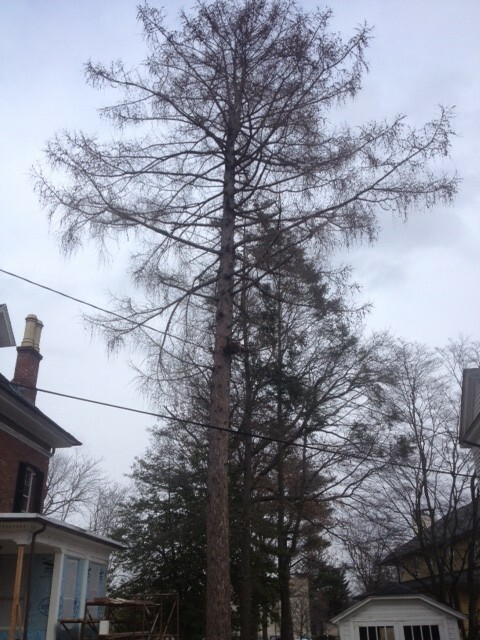 330 High Street – Unfortunately we have lost another Elm to what appears to be Dutch Elm Disease. This is a very large tree, with very large limbs. This tree has to be removed. 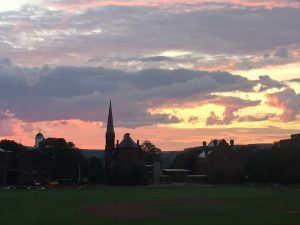 On August 11 Wesleyan had an extreme thunderstorm that dropped over 5″ of rain in under two hours. 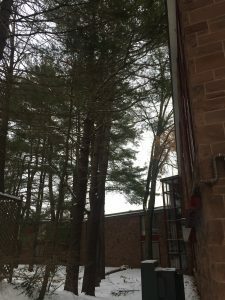 Alongside the rain was an extravagant display of lightning. All of this adds up to some serious damage to our tree population. 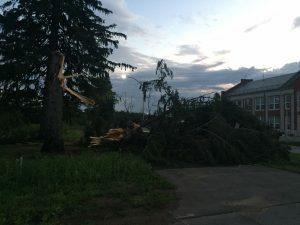 Due to the nature of the storm, I was unable to make a posting for all the removals. 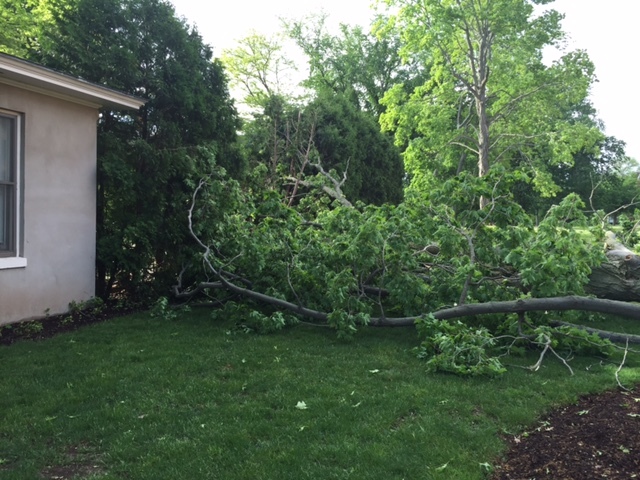 In lieu of that posting, please see below some of the images of what the storm left behind. 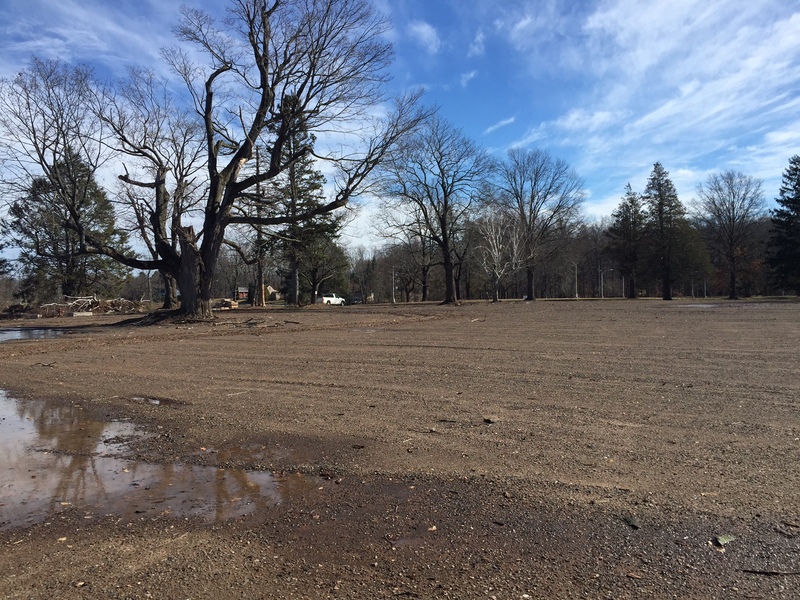 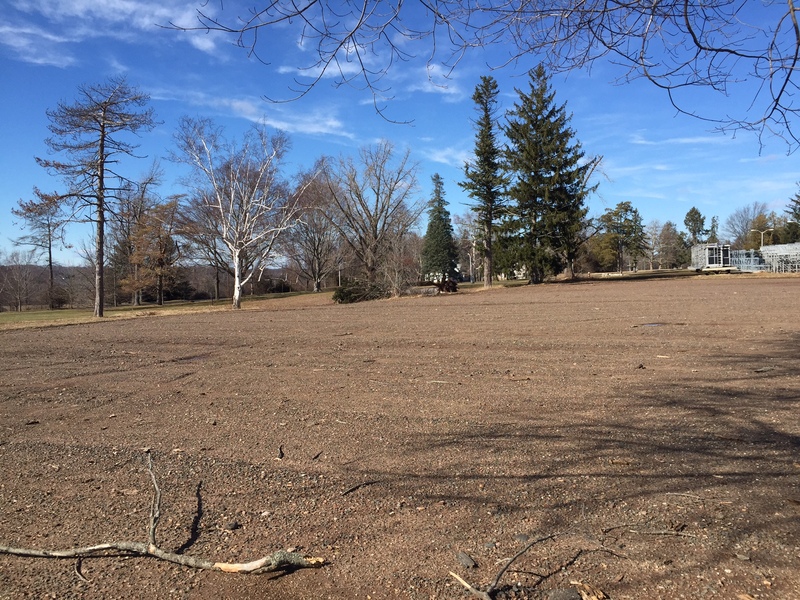 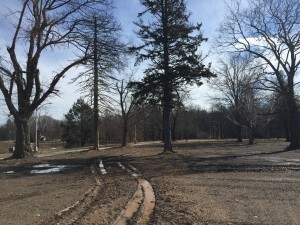 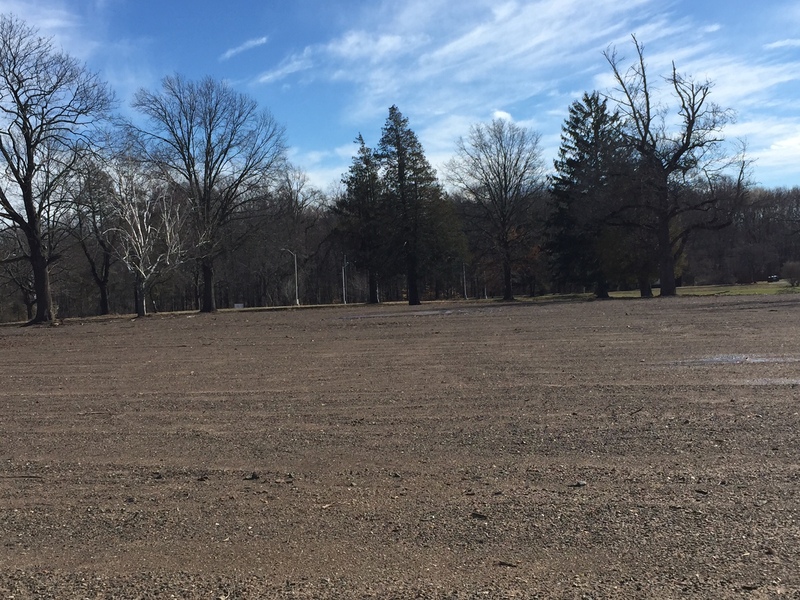 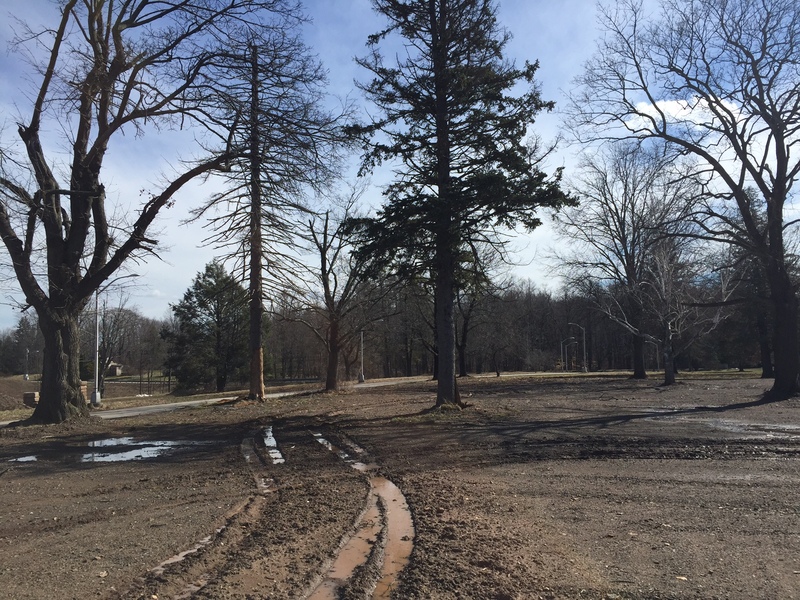 Starting in the Spring of 2016, Wesleyan will be installing a solar field south of the Cady Building on Long Lane. 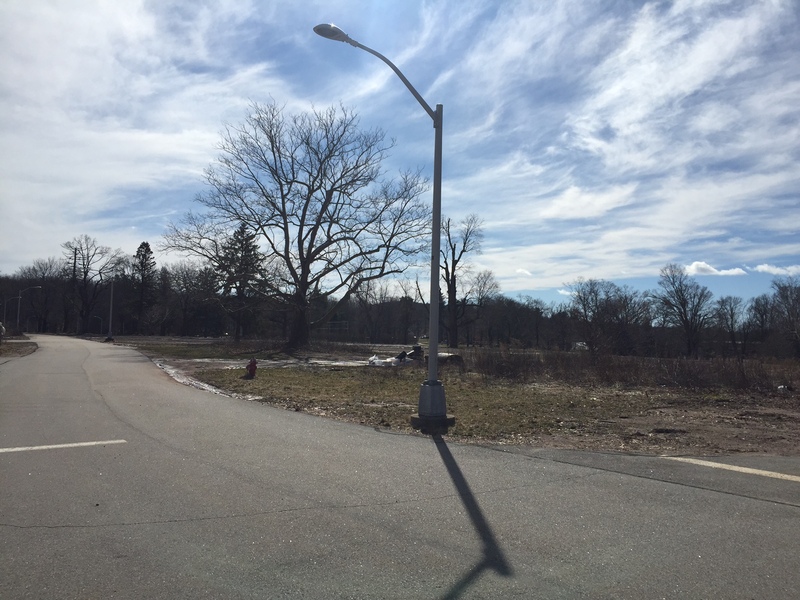 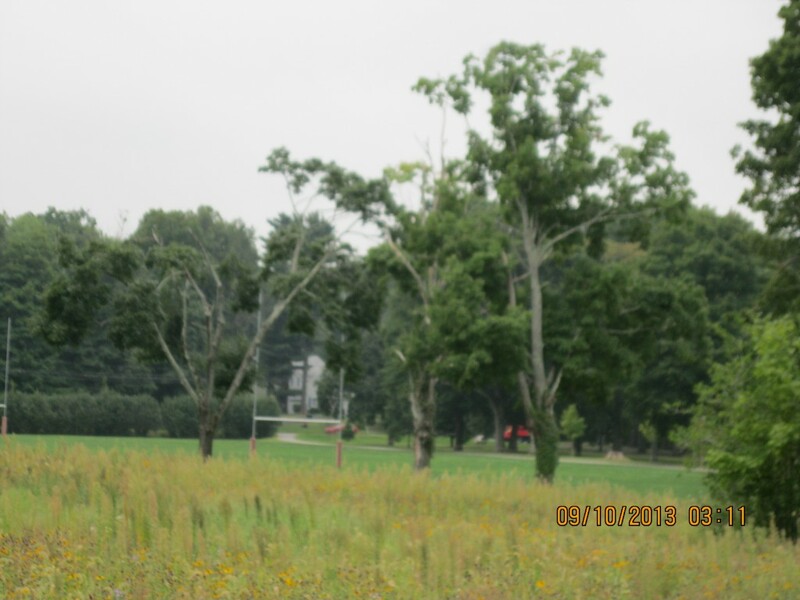 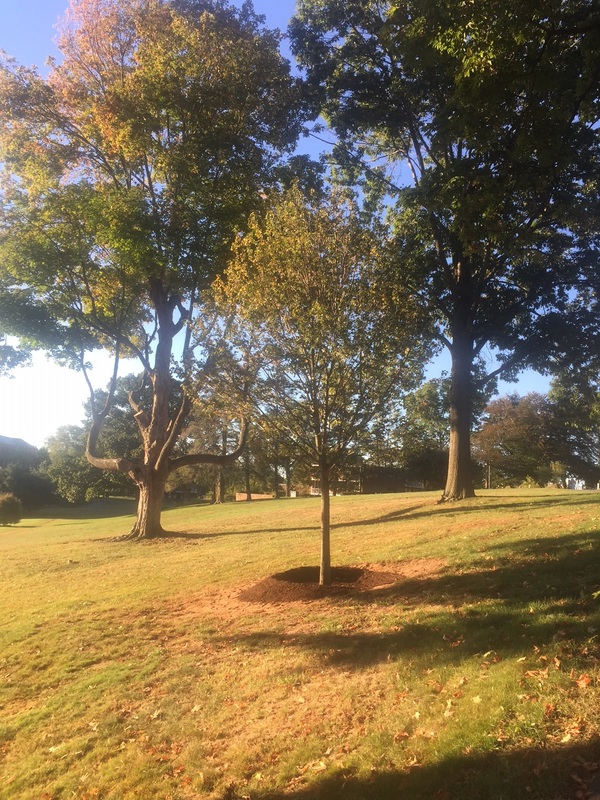 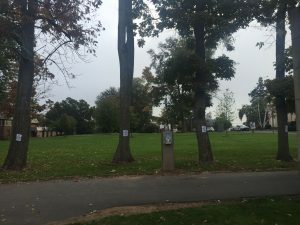 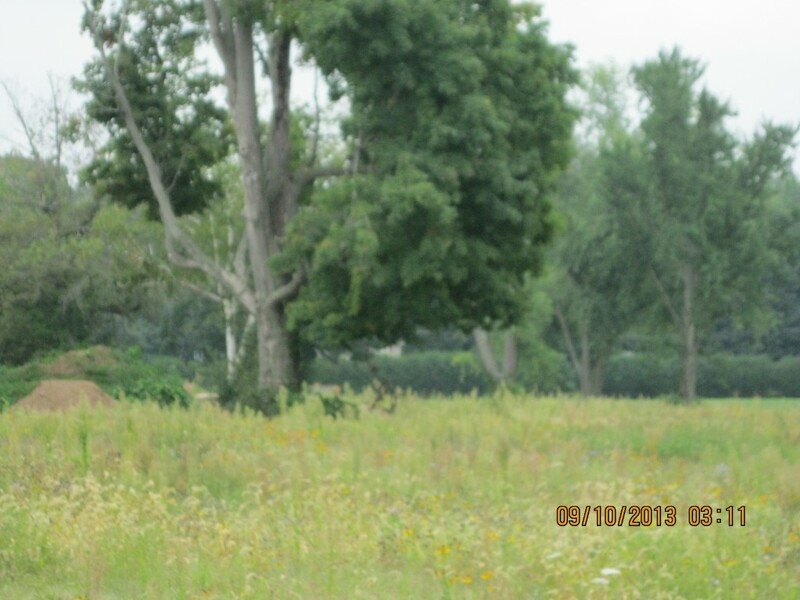 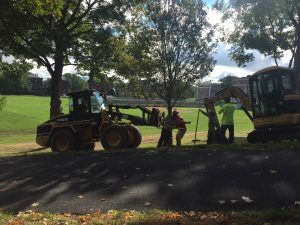 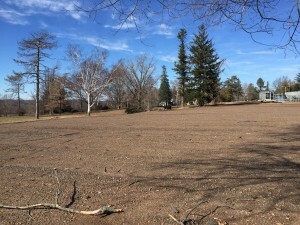 In order to install the solar field, and maximize its functionality, approximately 35 trees will have to be removed. 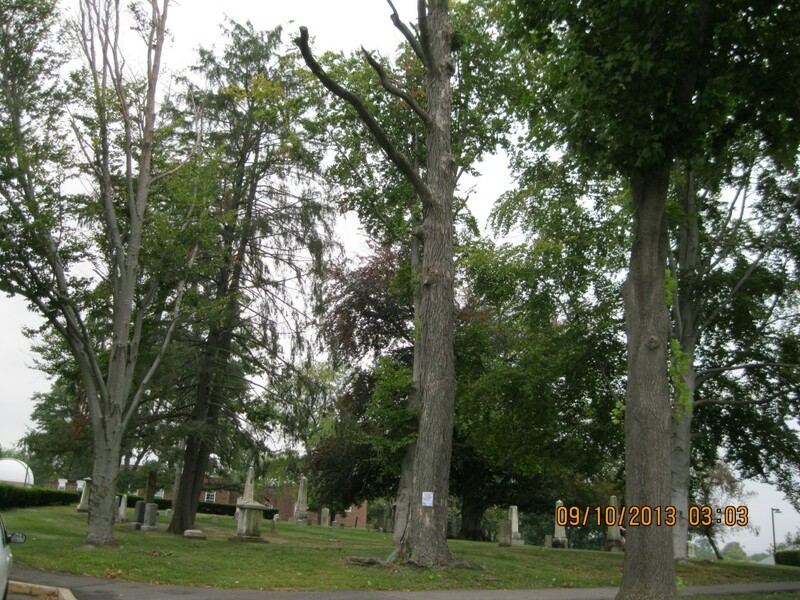 As you can tell from the photos below, many of the trees are already in serious decline. 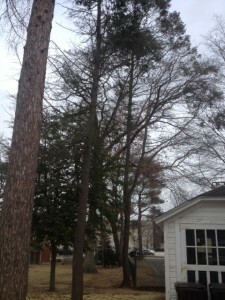 These two White Pines are creating safety issues on the sidewalk below, and must be removed. 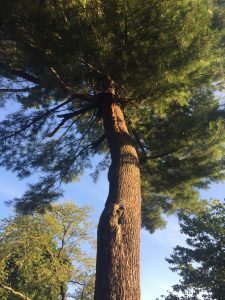 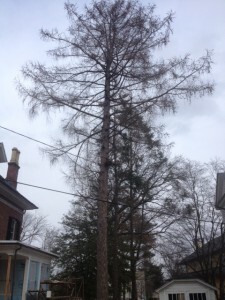 This Larch must be removed for construction reasons. 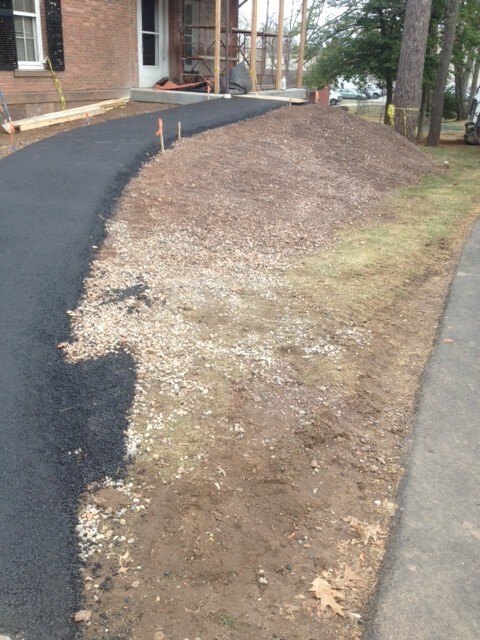 Due to the installation of a ADA ramp a portion of the trunk has been buried, which will kill the tree. 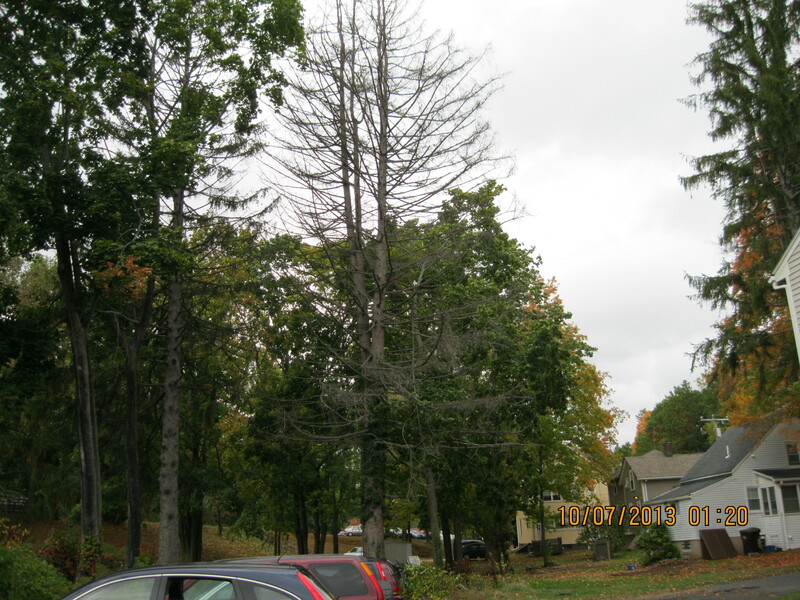 The two Hemlocks in this photo are infected with Woolly Adelgid, which have claimed many Hemlocks at this location. 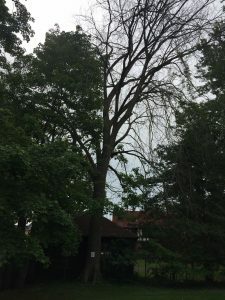 This tree is dying and must be removed. Several limbs have fallen including a large one seen hanging in this photo.